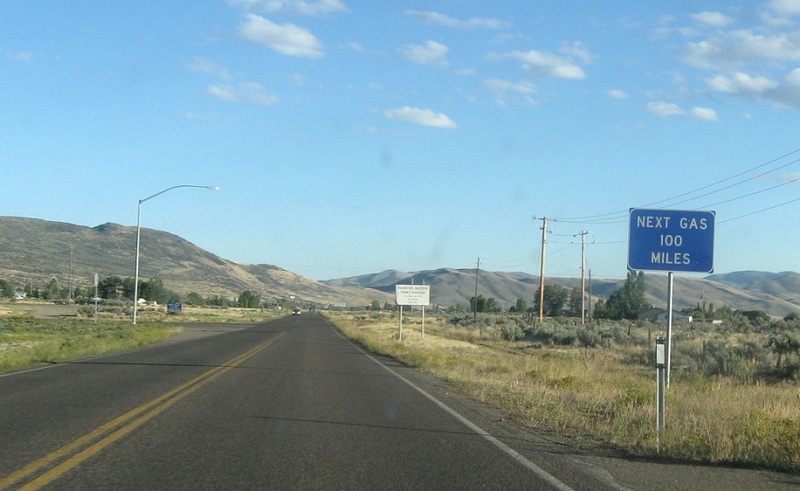 Took a quick roadtrip this weekend to get closer to finishing the Idaho state highway system. All I have left now is a quick day drive in the panhandle, then SH-87 and the I-15 Idaho Falls Business Loop that I'll get on my way to Colorado over Columbus Day. Anyway, left Sunday morning, headed down to Bannock Pass and began my trek on Idaho 29. 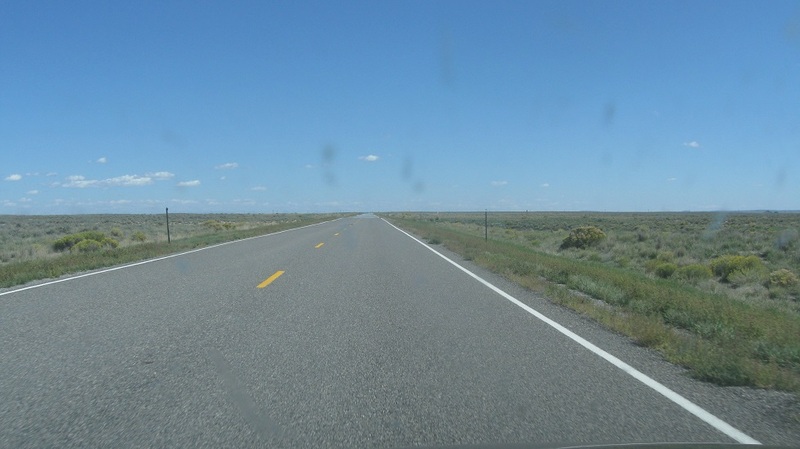 29 is unpaved for most of its existence, but like the other unpaved highways in Idaho, it is still signed well. 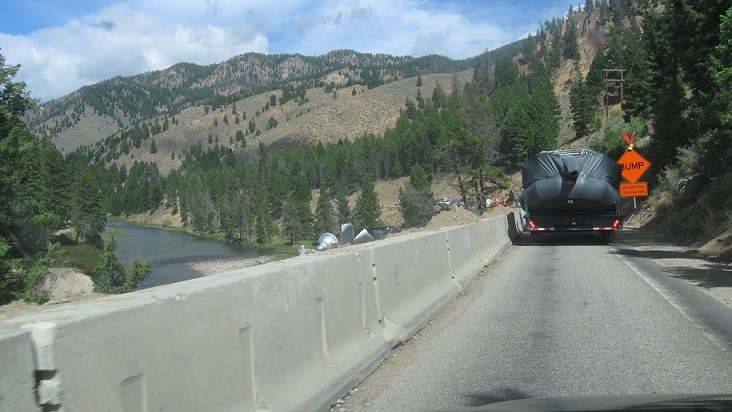 On Idaho 75 east of Stanley, they're still recovering from a landslide over a year ago. The guardrail is approximately the road edge right now. 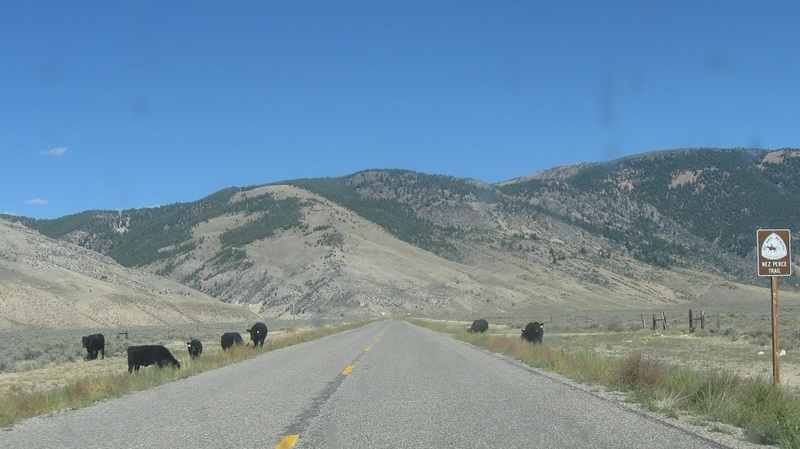 Down west of Boise, a 2.5 mile extension of Idaho 16 opened a couple weeks ago from Idaho 44 (the former southern terminus) to US 20/26. The idea is that this will eventually be a full length expressway down to I-84. Right now it is configured as it is in the picture with a 65 MPH speed limit. That's definitely an ISP sitting in the median though, keeping the peace. 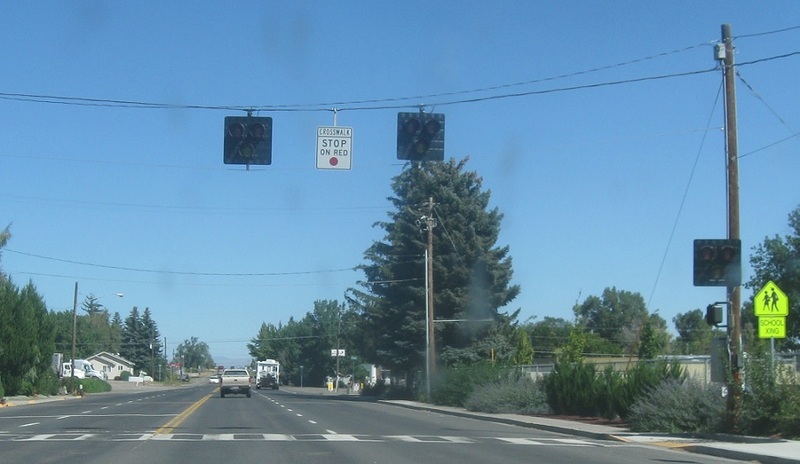 It's kind of useless right now- makes the trek from Emmett to Nampa marginally faster, I guess, but that drive still requires a lot of county road usage. Once extended to I-84 though, it'll be a really nice bypass of Boise, even for folks heading north on 55 towards McCall as Eagle Rd is increasingly congested. 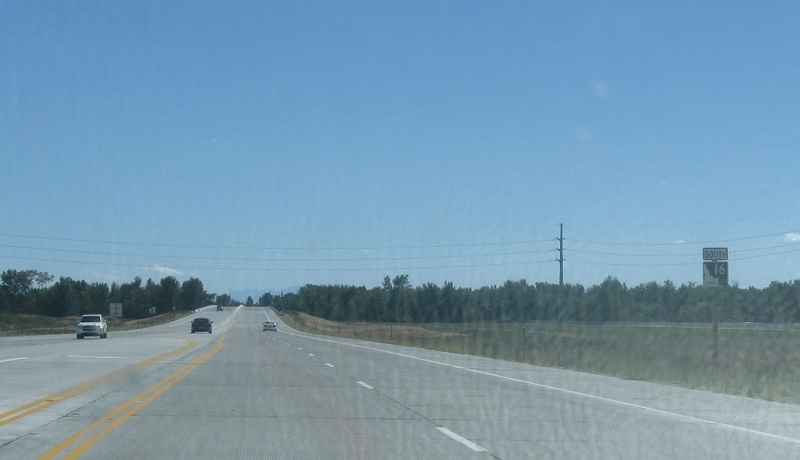 Mileposts start at 100 and decrease as one goes south with this extension. 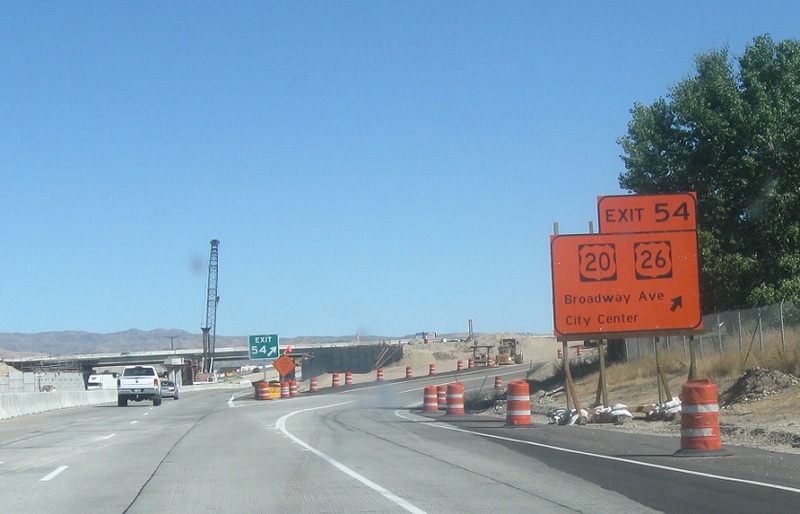 Big orange signs on I-84 heading out of Boise where they're reconfiguring the Broadway Avenue interchange. Speed limit 80! 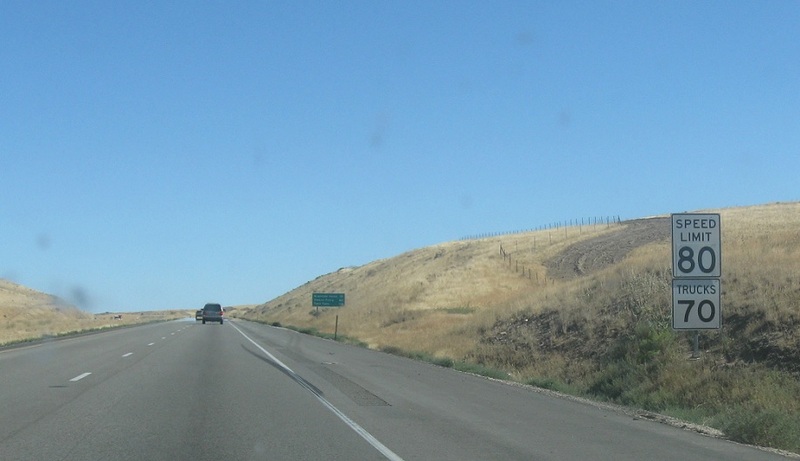 On I-84 just east of Boise. I wasn't on 84 all that much, I admit, but what I did notice between here and Mountain Home (probably one of the more congested 80 MPH areas) is that upping the truck speed limit from 65 to 70 has smoothed things out a lot, and cars really aren't going much faster than they were before. Personally, I'm good to go 82 or so and beyond that, I don't like to cruise long distances at any faster a speed. 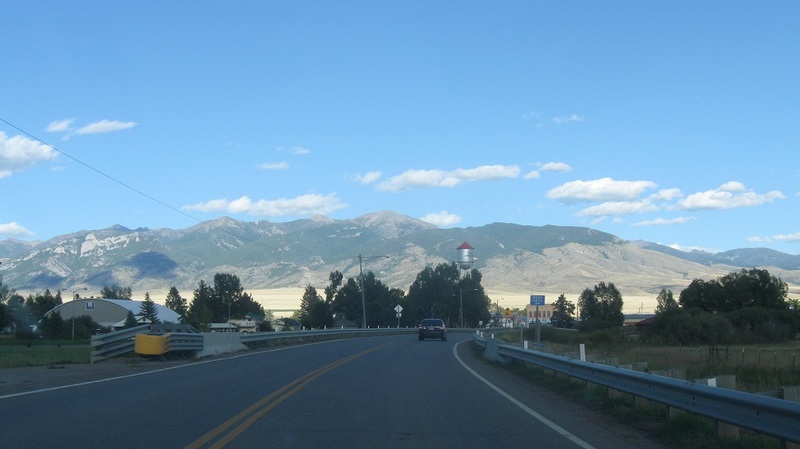 Idaho 167, the newest state highway designation in Idaho. It appeared 2-3 years ago, taking over the old county road from Grandview to Mountain Home. It's one of four 3dIDs, along with 128, 162, and 200. Down to Nevada, there's a gas station right on the state line at Idaho 51/Nevada 225, but then it's no gas for the 100 miles down to Elko. 51 and 225 are in some pretty darned desolate country. 225 isn't a bad road though- there's almost no traffic and it's fairly twisty (I was too in the zone to get a picture of the 25 MPH curves next 10 miles sign). It's a good time to open up and have some fun cornering. 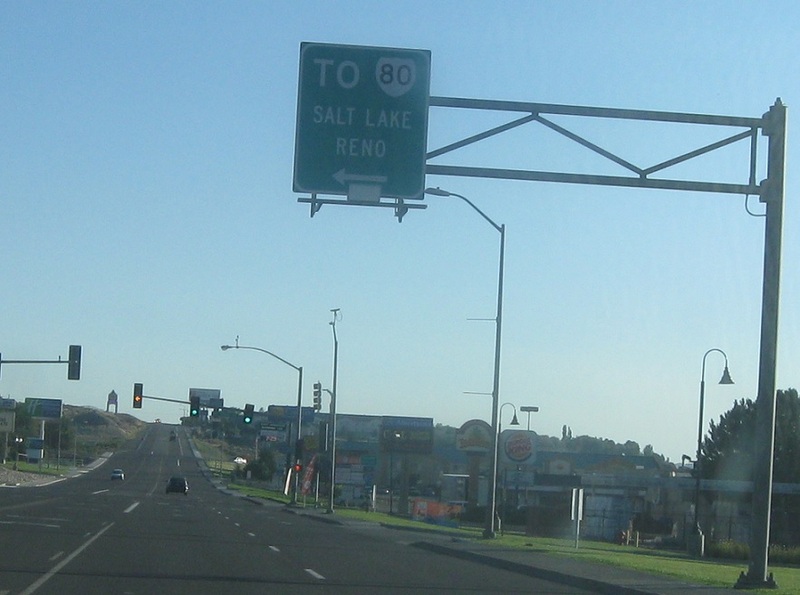 Erroneous I-80 shield on the business loop in Elko. Back in Idaho, a random HAWK signal in Gooding. I hadn't seen any of these in Idaho before. I've heard there's a couple in Nampa, but I haven't witnessed them. Weird to see one here though. Idaho 33 westbound right here has some nice mountain views. 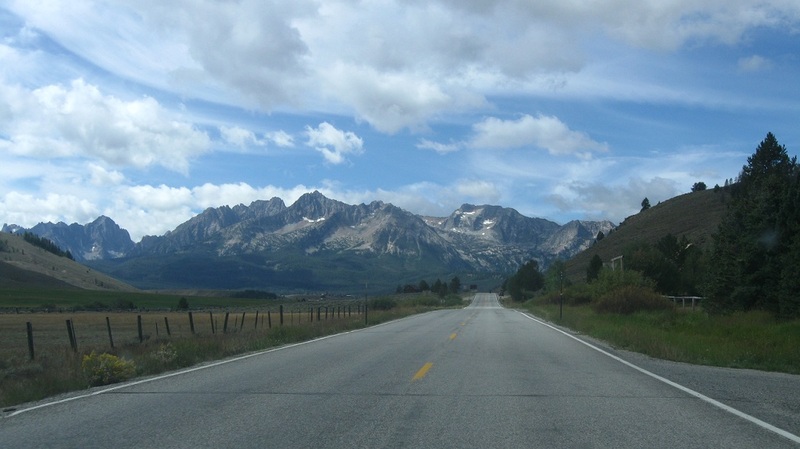 Eastbound is big sky country. This picture is in the middle of the Idaho National Laboratory, which is the original testing facility for civilian nuclear reactors in the USA. Wouldn't be a trip to eastern Idaho without cows somewhere. 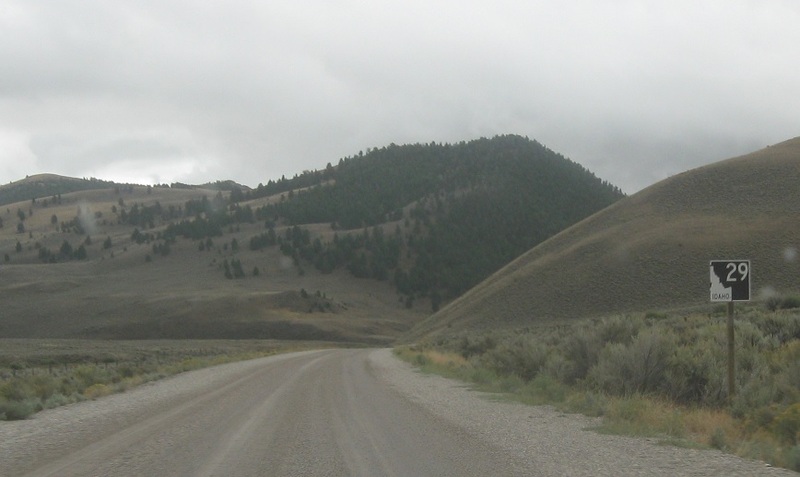 This is on Idaho 29 again but the paved part, because weirdly even when factoring in that I don't love taking a Honda Accord over unpaved mountain passes, it was most efficient to both enter and leave Idaho from Montana on Highway 29. 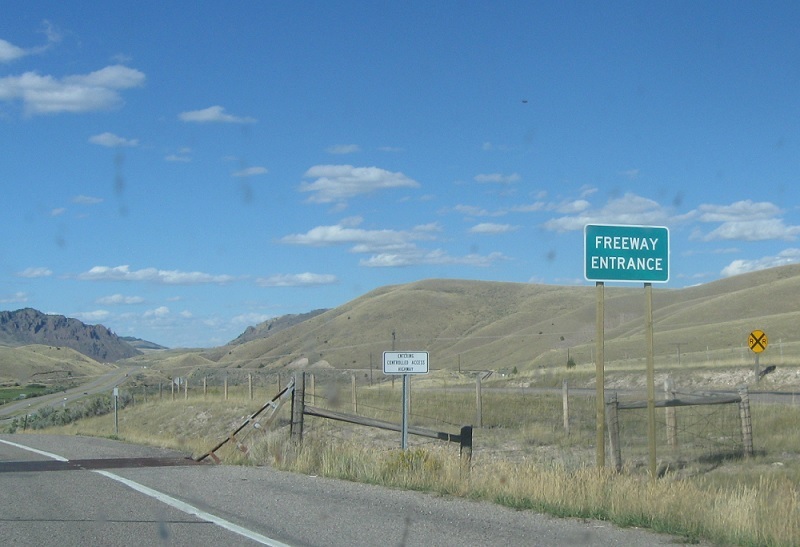 The only "Freeway Entrance" sign I have ever seen in Montana, where S-324 (the Montana extension of Idaho 29) hits I-15. 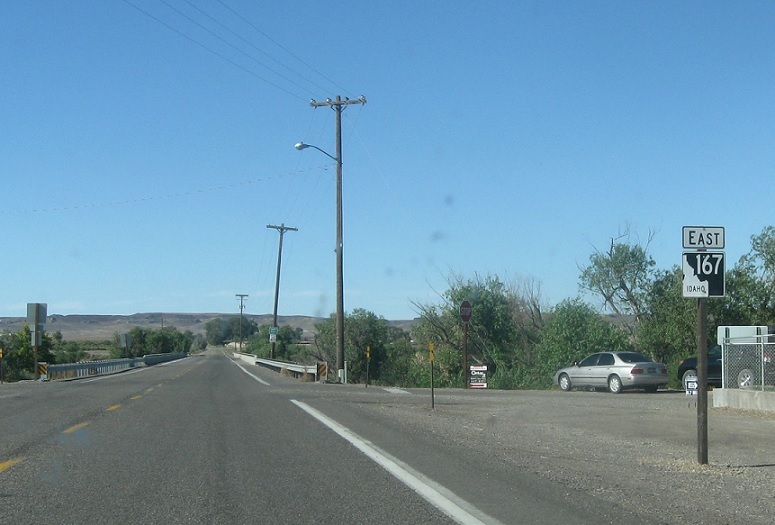 Approaching Twin Bridges on Montana 41. 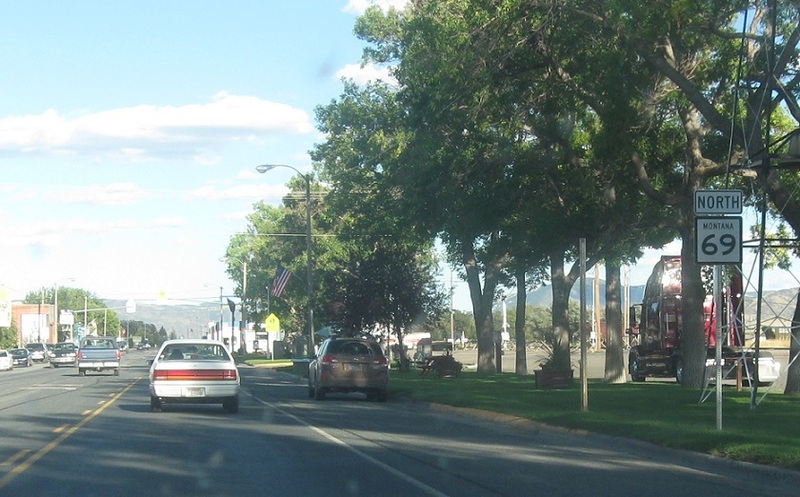 The only 69 shield on northbound Montana 69 right at its southern terminus in Whitehall. 69 is about 40 miles long and has three turns where a sign might be helpful (though the turns are signed by control city). Stupid kids.